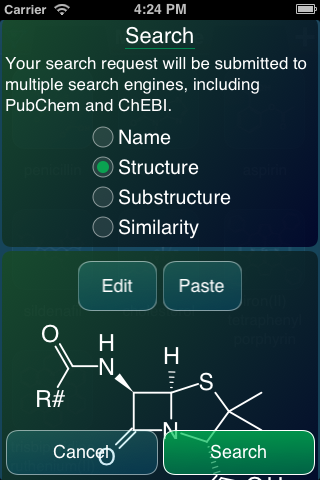 Subsequent to the addition of integrated public database searching to MMDS, the feature has now been added to MolPrime+ for iOS as well. 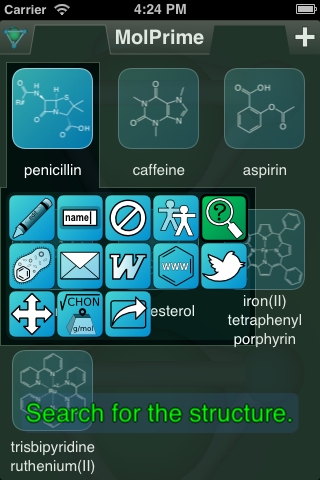 The latest version, 1.1, has been submitted to the AppStore and should be available soon. 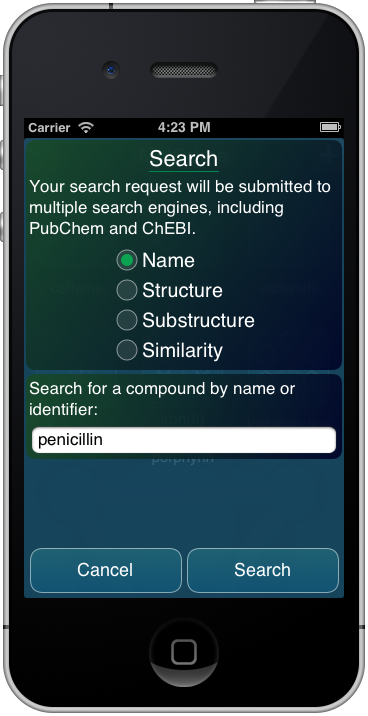 As soon as it is approved, it will be possible to easily search the PubChem and ChEBI databases, by name or structure, and use the results within the app. The structure search query can be sketched out from within the search dialog itself, but often it is useful to use an already drawn structure as the template. 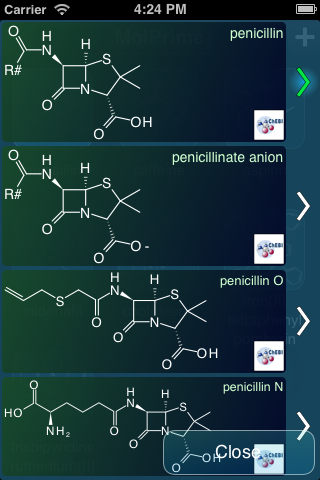 The addition of integrated searching functionality makes looking up data from within the MolPrime+ app very convenient. The structure searching options are very powerful, but the simple name searching may be even more important: being able to easily lookup a structure by name, then fetch its structure, circumvents the need to manually draw the structure in the first place. 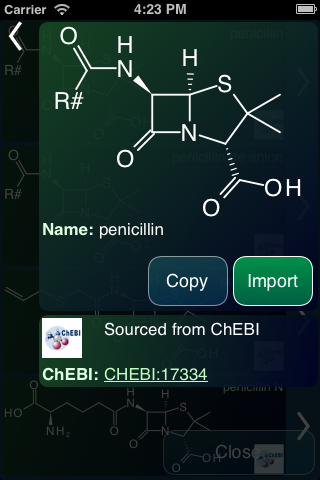 Being able to add the structure to the collection opens the door for a variety of cheminformatics tasks that can be performed on the device itself, such as property prediction, and all manner of sharing and graphical export options.